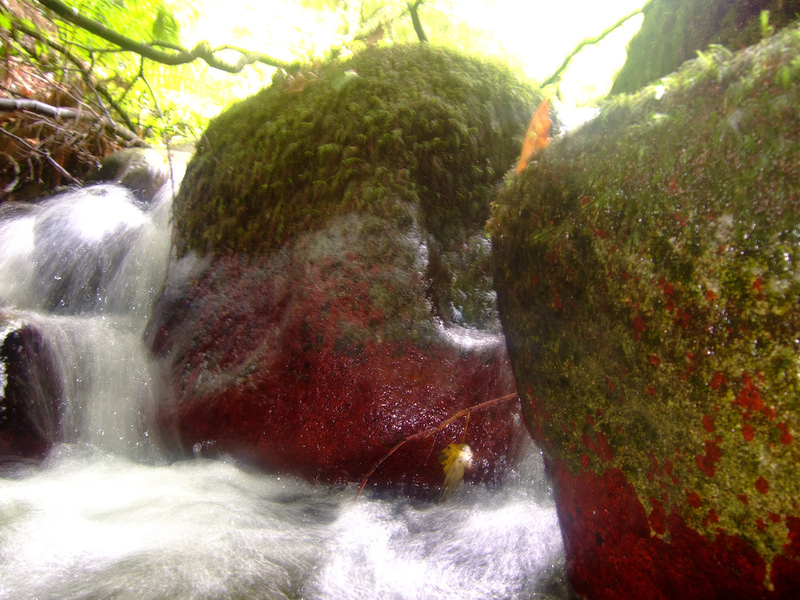 Sean uploaded this to his site on 27 August 2007, captioning it ‘the blood red rock of the fairy glen’. The stillness, almost timelessness of the stunning, jewelled colours of the rocks and the moss and the gushing, swift swathes of water…time does not stand still yet human consciousness remains constant. An excellent composition by a young talent. Last night we went to the 21st birthday party of one of Sean’s best friends, and met many of his other friends. Lots of talk about Sean, and a good night. And an excellent description Shermeen. As we turn to March so I wish you a very happy Spring from PapaG, Kojo and family. Very good wishes to your family, especially to Kojo. P.S: Great photo of Kojo. He looks so ‘cool’. Long time, no see, but your are still at it, accounting the wonderful and brilliant young man that Sean was. This does not surprise me, as I feel for you; losing a child is anybodys worst expierence in life. Not to sound cocky, I still wonder if it isn’t time for you to let go of Seans death. You will never let go of Sean in your heart, we all know that, but isn’t it time to move on and concentrate on yourself and the rest of your family ? I feel your grieve. I empathise with you on the hurt you feel. But just imagine Sean as a spirit, ready to explore the unknown, being held back by your grief and attention. This may sound mad, but heck Brendan, what do we know of the afterlife. I also write this with you and your beautiful wife and daughter in mind. You Brendon have so much to give to the world, your intellect and force for good is being occupied by your not willing to let go. Just a comment mate, said with love, consider it. Hello Rainer … nice to see you, and I know you mean well. We are a united family, and everyone supports what I do on this blog (which hasn’t been much lately). I think we are all dealing with Sean’s death in the best possible way. Sixteen months is in fact not a long time in this context. It is not so much a matter of grieving as of including Sean, whom we still regard as a member of our family. It is not a negative thing … in fact we have nothing but love, as I wrote in a song last year. I cannot see that anything bad can come from love. We do what seems natural and right for us. It’s not as if this were taking over my life … we do a lot of other things and get on with our lives in a positive way. Yesterday there were people in our house recording one of my songs, and a lot of fun and laughter. Just the kind of thing that Sean would have enjoyed. So, although I appreciate your concern, I think it’s misplaced. I just came here to say Hi to you Brendan and saw Rainer too. What a nice surprise. I hope you two are keeping well. Hello Levent … nice to see you; I hope you and the family are well. Did you listen to the song in my latest post?